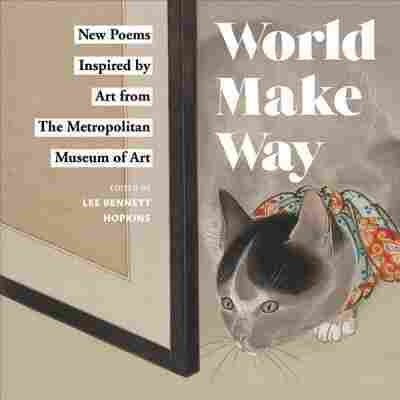 'World Make Way': New Poems Paint Classic Pictures Poet Lee Bennett Hopkins edited the new children's book, in which poets reflect on paintings at the Metropolitan Museum of Art. "Rather than describing the painting, it's what they feel," he says. Pictures can be poems and vice versa: they're feelings captured in a phrase, a stroke, or an image. Leonardo da Vinci said, "Painting is poetry that is seen rather than felt, and poetry is painting that is felt rather than seen." Lee Bennett Hopkins and the Metropolitan Museum of Art asked a number of poets to look at great classic art from the museum's collection and reflect their feelings in new poems. The book that results is World Make Way: New Poems Inspired By Art From The Metropolitan Museum Of Art. Hopkins is an artist, poet, and holder of the Guinness Book of Records citation for compiling the most anthologies for children. Frankly, I began my career as an elementary school teacher in New Jersey, and my work in poetry was really influenced by children I was teaching. I found that using poetry with them was a very miraculous thing, particularly with slower learners. Poems are usually short, [and their] vocabulary's simple. And I've always maintained that more can be said or felt in 8 or 10 lines than sometimes in an entire novel. And the whole book is really based on a form from the Greek called ekphrastic poetry, where poems are inspired by art. I assigned these varied paintings to 18 of the top children's poets in America who would then write their emotions toward the painting. Rather than describing the painting, it's what they feel. 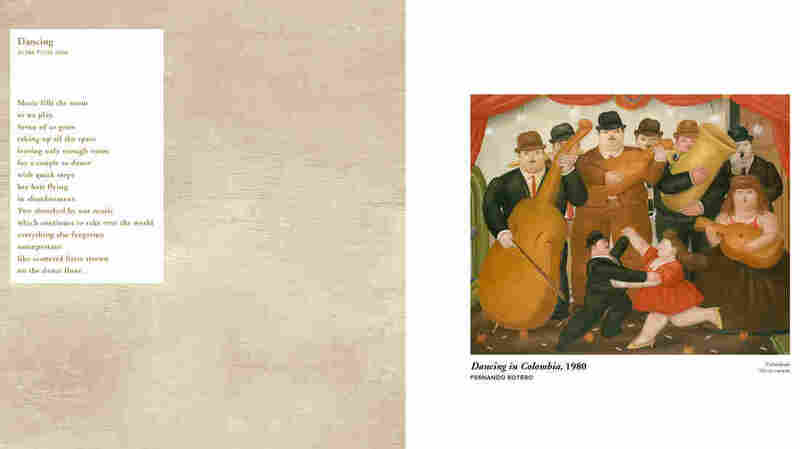 After viewing the painting, Dancing In Colombia, poet Alma Flor Ada wrote "Dancing." I think that's the premise of the entire book. Peering into any piece of art, whether it's a painting or sculpture, they capture your eye and capture your ear. Magic happens. New things are seen, new things are felt. I think I want to ask the children and adults, "What have these poets seen when they looked at the painting? More important, what do you see? What do you feel?" Tyler Hill and Rachel Gotbaum produced and edited this interview for broadcast. Sydnee Monday and Petra Mayer adapted it for the Web.